om the moment parents find out a baby is on the way, we make an endless number of decisions about how we will care for them. Hours are spent considering whether to breast-feed or formula feed, use cloth diapers or disposable, or who will care for the child while parents work. The discussion on what it means to raise a Jewish, Black, or Latino child in American culture often does not occur until much later. Whether a family is actively part of one cultural group or religion, an interfaith family or minimally connected to a religious or cultural group, the choices about how we want to include culture in family life should be deliberate and intentional.How do we, as parents, help our children develop cultural identity? 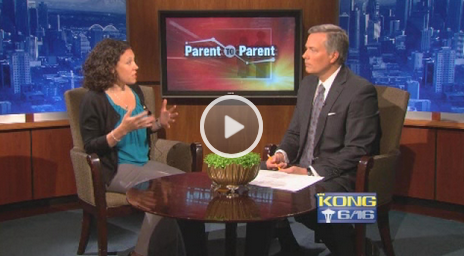 Watch Sarina Behar Natkin on King 5 Morning News as she talks about Cultural Quotient and how to raise culturally aware children.